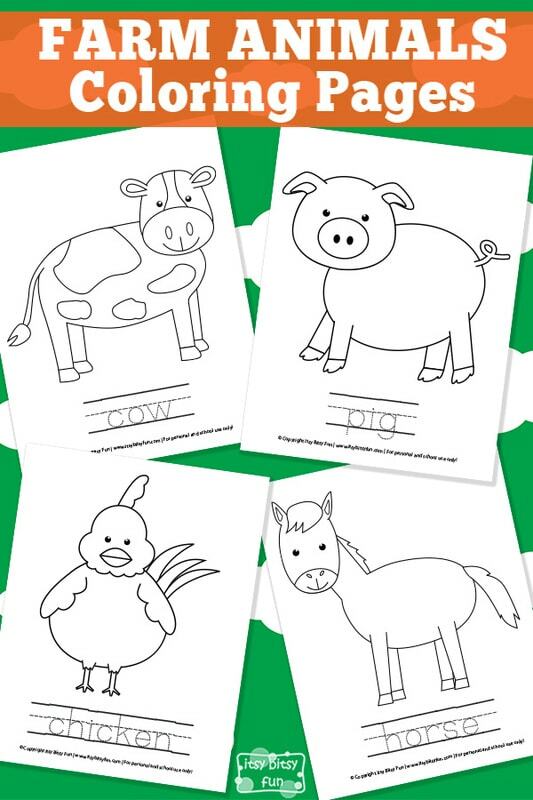 Farm Animals Coloring Pages! Trace the Words and Color. These wonderful Free Printable Farm Animals Coloring Pages will thrill your little ones. Have you ever visited an animal farm or you live at one? If not, this is a great opportunity to get to know some of these cute farm animals. If these are not your cup of tea there is a whole bunch more free coloring pages waiting for you to print them. If I had to choose just one farm animal to get to know better, I would definitely choose a horse, because of it’s majestic appearance and temper. They vary in color from brown, gray, black and white to different mixtures of colors and patterns so there are many colors to choose from to color them. This free pack has 4 pages! 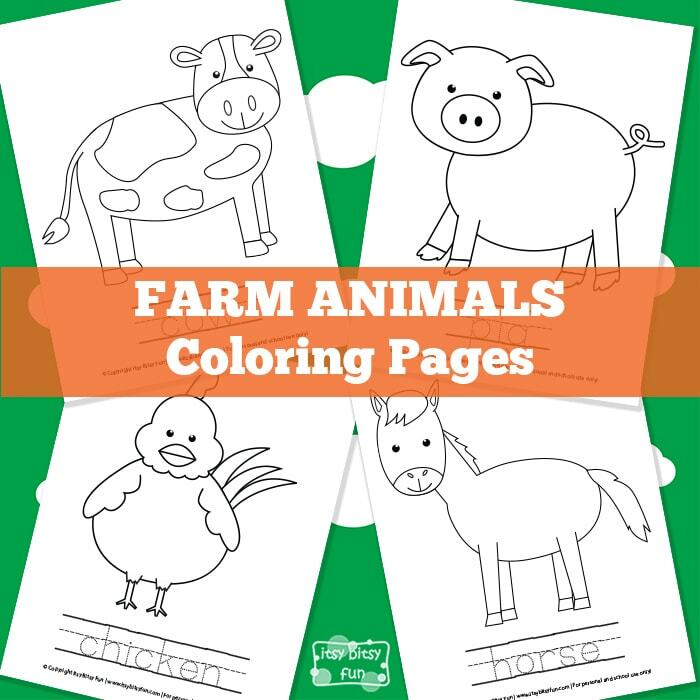 I have selected four most common farm animals for coloring. There is a cow, a pig, a chicken and a horse. Under each one there is a word tracing exercise for practicing the names of these cute animals. Tracing these words and letters is easy and fun too. You can use your crayons and also trace the letters in different colors. Coloring and tracing these cute animals will sure help your children to know more about the looks of these animals and names and will also improve their writing skills. Get free printable Farm Animal Coloring Pages here.